DJ Revolution Presents: "Malcolm & Martin Were...Criminal Minded Mixtape"
Criminal Minded is one of my favorite albums of all time and a true hip hop classic. Fast forward to 2010 and DJ Revolution (currently of MOTM fame) have put their own twist on it. Check it out and see how it moves you. And if you’ve never really listened to the classic original Criminal Minded, here’s your chance. 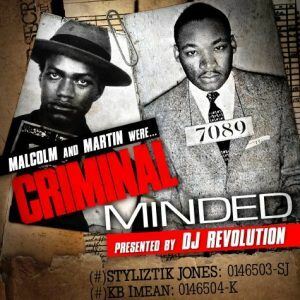 DJ Revolution presents Malcolm & Martin’s latest mixtape “Malcolm and Martin were…Criminal Minded”, a 2010 re-work of the seminal album released by BDP in 1987. 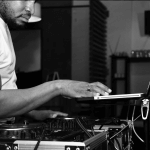 Politically charged, powerful lyrics over hard classic beats infused with Revolution’s production and signature cuts create a gritty soundscape sure to wake sleeping hip hop fans. 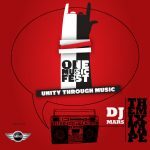 This is a follow up to their funk inspired debut mixtape”Movement Music” and a lead in to the forthcoming album DJ Revolution Presents Malcolm and Martin “Life Doesn’t Frighten Me”, will be released on 2-1-2011 on SoulSpazm Records..
Hit the jump to download and checkout the tracklist. 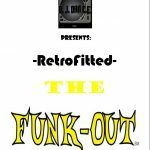 Mixtape: DJ DAN.CE Presents: RetroFitted: The Funk Out!